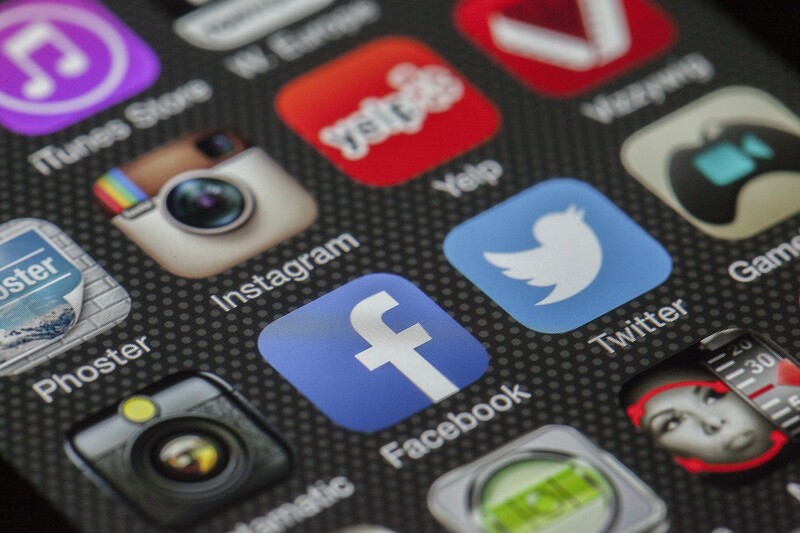 Are the mobile phone apps becoming extinct? We get asked this a lot. "You really need an app for that?". We have always been resistant to taking this direction and now the data is backing us up. According to Savvy, apps are expensive to develop. If you are a large organisation you can easily spend between $500,00 to $1,000,000 in development. Even for smaller businesses the cost is going to be between $50,000 and $100,000. Don't get swayed by those regular emails from India that offer a cut price app for your business either. Costs will overrun so quickly that you will be into 6 figures before you are ready to launch. Then there are the update costs. We all know that Apple and Google update their operating systems on a regular basis. You just do one major system update and then spend another hour as all the apps on your phone get updated. That means those apps had to be pre-configured to work with the new operating systems and be ready in time for the system update. According to App Press your annual maintenance cost for keeping the app up and running will be around 20% of your initial investment. That's $20,000 per annum for a small business to budget for. Back in 2015 over 1,000 were being submitted to the Apple App Store EVERY DAY! It's estimated that today, this could be almost double this number. According to Quettra's data an average app loses 77% of its DAUs (daily active users) within the first 3 days of installation. Over 30 days the attrition rate is 90% and after 90 days on 5% of users will be using an app on a daily basis. Some of the reasons behind this are intrusive on screen marketing, poor functionality (they crash all the time), privacy issues and the type of sector the map is targeted at (such as games, social networking etc). The apps that have the best chance of staying on a phone are ones dedicated to medical, news, weather and fitness but there is still only a 30-50% chance that they will still be there on a phone after 90 days (source Flurry). When you new shiny Android or Apple phone is taken out of the box we have been impressed by the amount of additional storage they have to offer from our 2-3 year existing model. We immediately restore our device (hopefully from a back up) and then go about installing the apps we love to use. 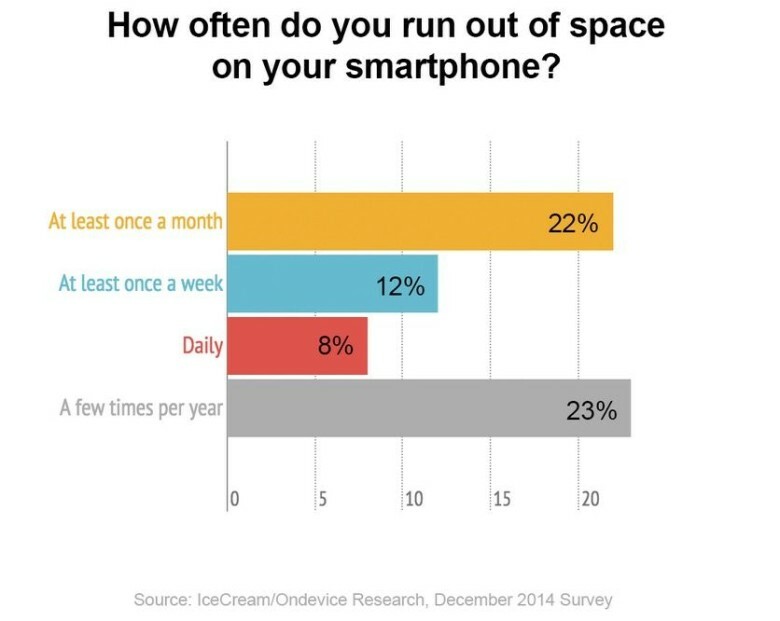 According to data gathered by Ice Cream/Ondevice Research back in December 2014 iPhone 22% of users reported that they were running out of space on their phone at least once a month. Apple's iOS 11 needed 4gb of space to allow for the upgrade from version 10. Estimates for the whole operating system are between 10-14gb. Add in your main apps, your stored images and a few audio files you can soon see how the space gets eaten up. So when the next update comes available you soon realise that you need to free up at least 4gb of space to allow the update to proceed. That's a time when your app will disappear from the user's phone. Operating systems will continue to be updated. More security and functionality will be built in to phone models both new and old. If you still have an iPhone 6 then it's likely you are down to a few apps and photographs as the operating system is taking up most of the memory. It's all part of the manufacturers' cycle of product enhancement that means you have got to upgrade your phone every 2-3 years just to stand still. ARE WEB APPS THE FUTURE? There is clearly one benefit from an app and that is they often work when there is no internet connection. But when they do connect they are continually transferring data and eating into your data plan. With internet coverage extending across the global it maybe time to consider the web app as the right choice. And that's why we use a Web App for Tap2Tag. It's lower cost means we can spend more time and money developing more features. It also means that, for our medical alert system, we are not expecting a paramedic to download an app at the scene of an accident just to see your medical information. That simple tap means a first responder gets to your medical data in less than 7 seconds.